What these churches are doing is working, they’re growing . . . more people, more money, more events, more groups . . . but they struggle where a lot of churches struggle . 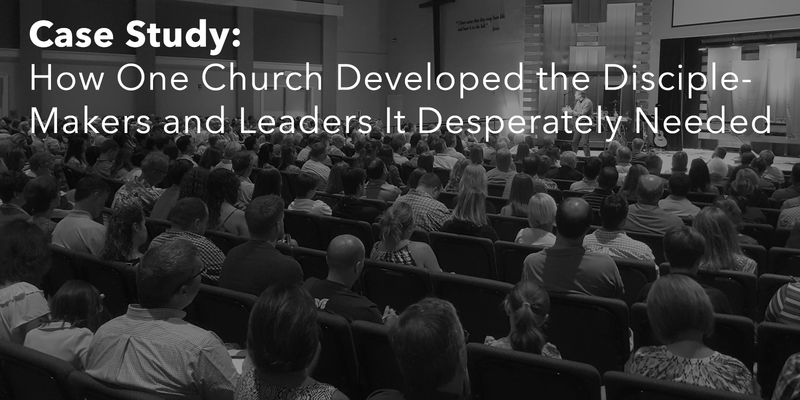 . . turning their attendees into all-in leaders and disciple-makers not just disciples. Let’s return to the first pastor . . . his name is Chad Moore and he pastors The Church at LifePark in Mt. Pleasant, SC. LifePark launched in 2010 with a core group of 200 people. They’ve since grown to over 1,600. They have a flourishing small group ministry . . . men’s groups, women’s groups, co-ed groups, you name it. Their people are genuinely connecting with other Jesus-followers but often it’s surface-level, it’s building relationships and exploring faith, it’s a great next step from the worship service . . . but there’s room for more. So, where did they go next? Around that same time, Chad was regularly meeting with one of the elders at LifePark, a local professor named Ray Snyder. 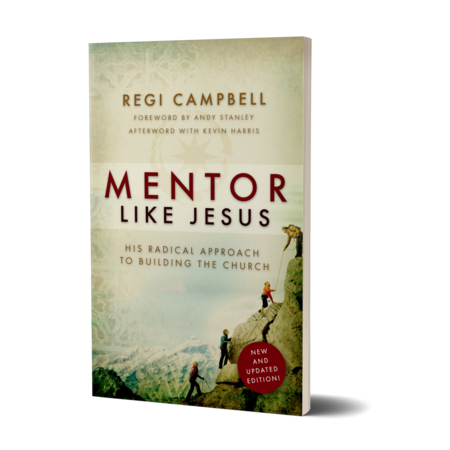 On his own, Ray had been leading his first mentoring group, using the Radical Mentoring system developed by Atlanta entrepreneur and author Regi Campbell. Ray had begun leading this group out of a desire to share his life experience with others. A few months after launching his group and seeing the impact it was having on both himself and the guys he was mentoring, Ray was sold on the life change taking place and he couldn’t wait to share it with Chad. It turned out to be just the lifeline Chad needed and he excitedly gathered a few guys and launched his own group. Here’s what Chad had to say after his groups’ Story Sunday, where they gathered to each share their full, unfiltered faith story . . . This was the beginning of something big at LifePark, something that would build upon their existing models of engagement and develop leaders and disciple-makers equipped to shape the future of their church and their community. As Chad finished up his group and Ray concluded his second group, they began to explore what it would look like to launch small group mentoring church-wide. Here’s how they made it happen . . . They gathered together a group of older, wiser Jesus-followers . . . men who had valuable life experience and a willingness to share it and paired them up as co-mentors. Using the tools that Radical Mentoring developed and provided, they created a unique track that all the LifePark mentors would follow as they lead their groups. Once the track was established, they picked out books, verses and homework assignments to go with each topic and created an all-encompassing Mentor Binder so that each mentor could focus on pouring into his groups instead of the administrative details. To find mentees they publicized the program, asking interested men to apply and then connecting them with mentors as well as asking the mentors to do some recruiting on their own. Then, they brought all the mentors together to cast vision for the season and train them on some of the basics that would make their mentoring group a success. After that, each group got underway with a meeting in which both co-mentors share their full, authentic faith story as well as lay out the expectations for the mentoring season, requiring each mentee to turn in their signed Mentee Covenants. Each group then went on a Story Retreat . . . spending time together to get to know one other, to each share their own full, authentic faith stories and to have their first group meeting. From there, each group proceeded to meet once a month for three hours. Each meeting centered around an important topic in every man’s life: Marriage, Prayer, Fatherhood, Purpose, etc. Corresponding with each topic was a book to read, Scripture to memorize, and relational and personal homework assignments to complete. Talking through each of these items comprised the meeting discussion along with anything else the co-mentors or the group felt relevant to discuss. At the end of the 9-month season, each group went on a Commencement Retreat, where the enjoyed their final official time together, debriefed on the experience as a whole and were sent out as graduates, better equipped to lead in their families, marriages, workplaces and at their church. After watching God work in the lives of both the mentees and the mentors, LifePark has launched two more mentoring seasons . . . they’re about to finish their third overall, having over 250 mentees go through a Radical Mentoring group. But what does that mean for their church? What makes that number different from the other numbers showing LifePark’s growth? When asked why he thought small group mentoring and specifically the Radical Mentoring model was able to help the men at his church go all-in for Jesus, Chad had this to say . . .
Those 250+ men spent a year sitting at a table with an older, wiser Jesus-follower, who choose to spend his time being vulnerable with them about his life experiences . . . his marriage, his career, his relationship with Jesus, the way he fathered his kids. He shared his successes and maybe, more importantly, his failures. While anything but perfect, the lives of these mentors, transparently exposed and fully committed, showed the younger men a real-life example of what it’s like to be a fully-alive Jesus-follower and what it can be for them if they go all-in. The mentors embodied the Christian life, making it observable and accessible to the mentee. The success of these groups helped Chad and his team realize their regular small groups were “a great place to invite your friend . . . a great place for people to take a next step from the worship service, but the very nature of those next steps hinders the deepest discipleship process.” Small group mentoring could be incorporated into their existing engagement and discipleship model, it wasn’t an either/or, it was a both/and. Here’s what LifePark’s model looks like today . . .
101: Events – periodic events (i.e., men’s hike, women’s gathering, etc.) aimed to inspire people and encourage them to take a next step and serve or get into a group. 301: Mentoring Groups – high commitment groups that meet for 3 hours, once a month, for 9 months, aimed to “yield a deeper walk with God and a biblical perspective on many aspects of life” under the guidance of older, wiser co-mentors. Small group mentoring works best an expansion of a church’s current discipleship model. The men who graduate from mentoring groups go back into small groups and church-wide events and improve the quality of these other activities, bringing in the authenticity and intentionality they learned during their mentoring season. They become better fathers and husbands at home, better bosses and employees at work, better volunteers and givers at church, better leaders in their community and most importantly all-in followers of Jesus . . . something every church needs.